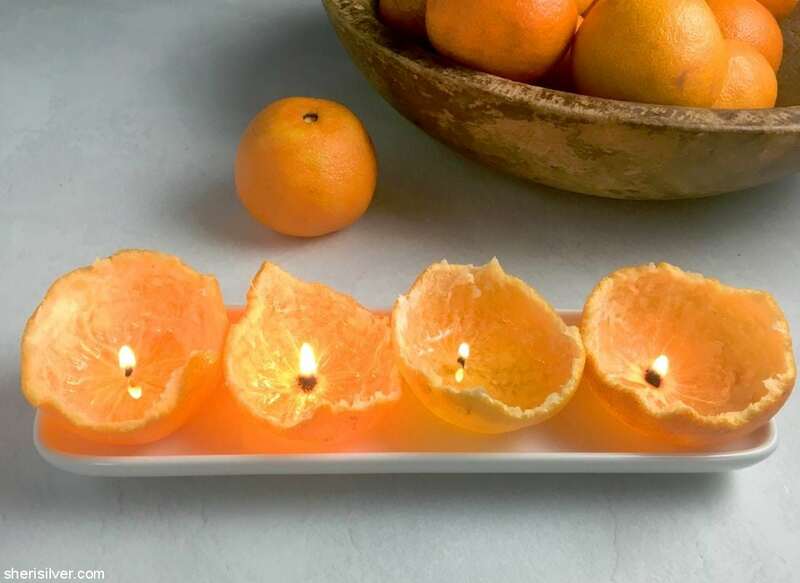 I always have a bowl of clementines sitting on my counter during the winter – easy to peel, portable and full of Vitamin C.
And while I’ve found an alternative use for them in this lovely potpourri, I think you’ll find these votives equally charming. 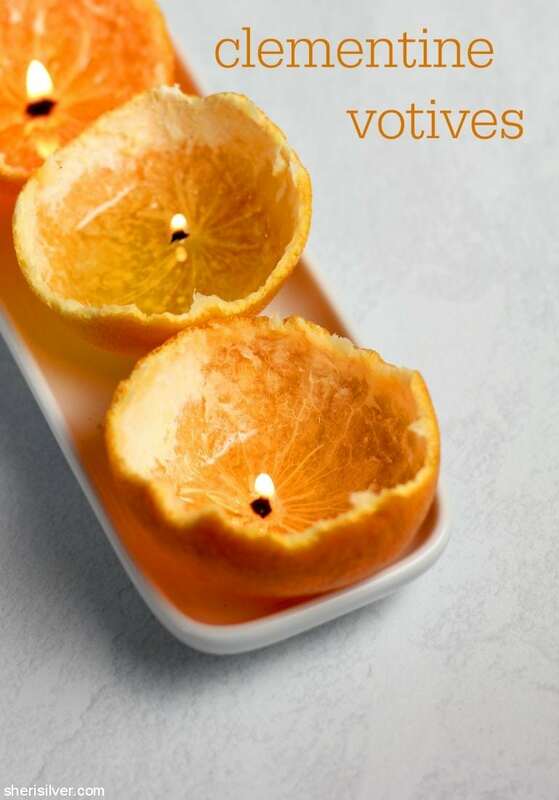 And they’re super easy to make. 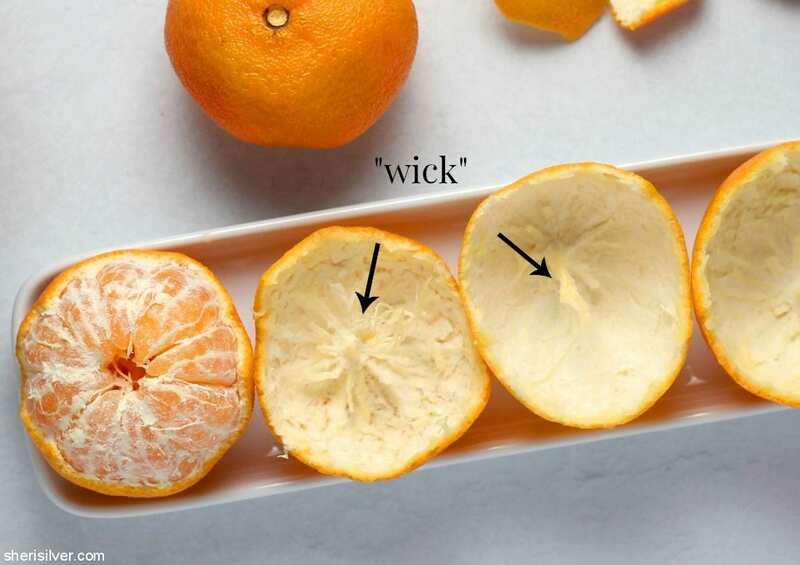 Simply remove half of the clementine peel, leaving the stem end intact. You can do it with a small knife for a clean cut, but I like the jagged edge you get when you do it by hand. 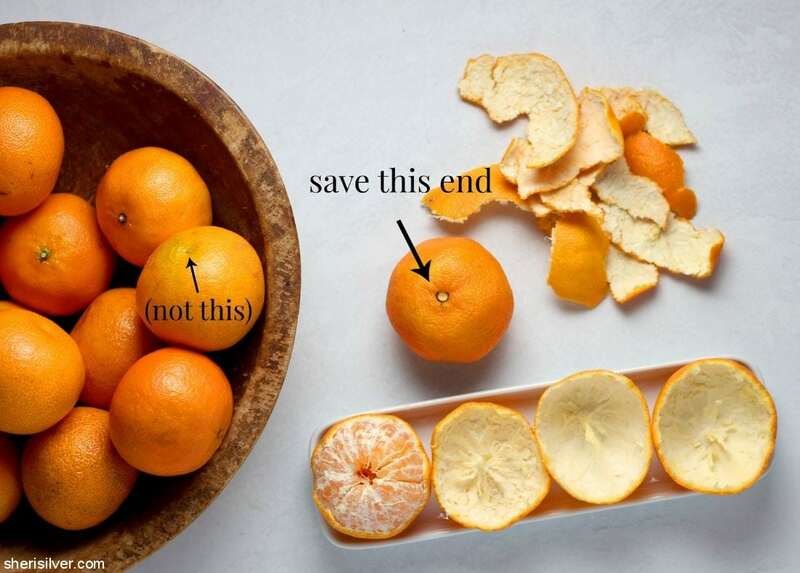 Then carefully remove the clementine segments from the reserved half. You will see a bit of white pith sticking up. This is your “wick”. Trim the wick to about 1/4″, then pour a bit of olive oil over. Then light it! 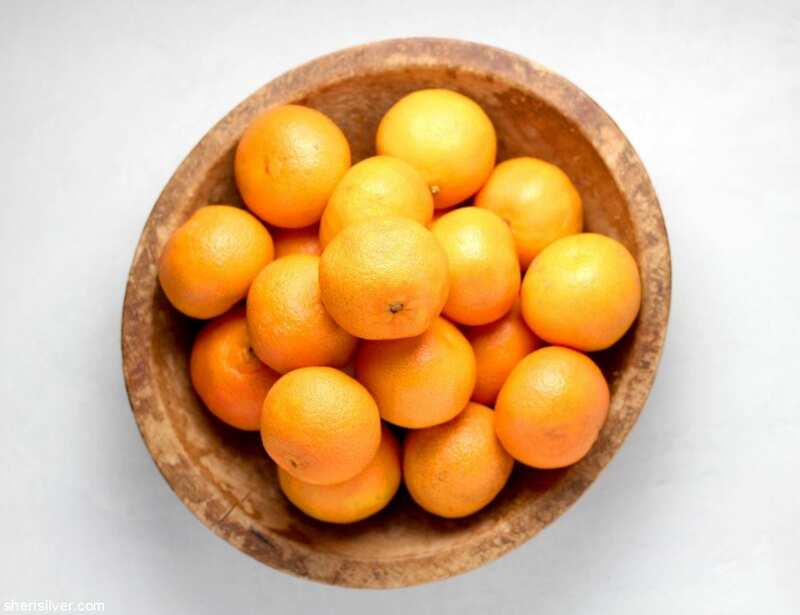 Line them up on your table, cluster on a tray or float in a dish of water. And let me know if you try it! For more crafts and favor-“ettes”, hit up my Pinterest page!